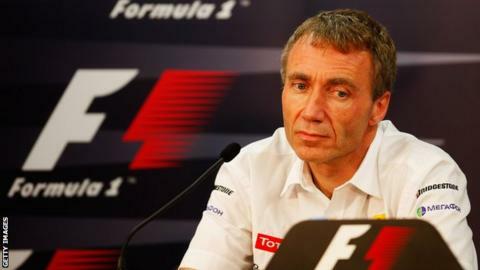 Technical director Bob Bell will leave Mercedes in November after three years with the team. Executive director Paddy Lowe will take over the responsibilities of Bell, who tendered his resignation in December. Bell joined Mercedes in 2011 having previously spent nine years at Renault and has also had stints at McLaren, Benetton and Jordan. Mercedes drivers Nico Rosberg and Lewis Hamilton are top of the driver's standings after three grands prix.